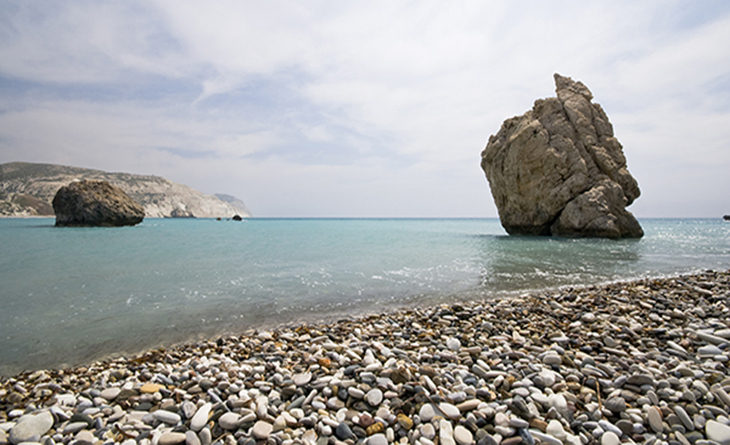 Legend has it that Aphrodite, Goddess of Love and Fertility, once rose from gurgling waters that surround Aphrodite’s rock. 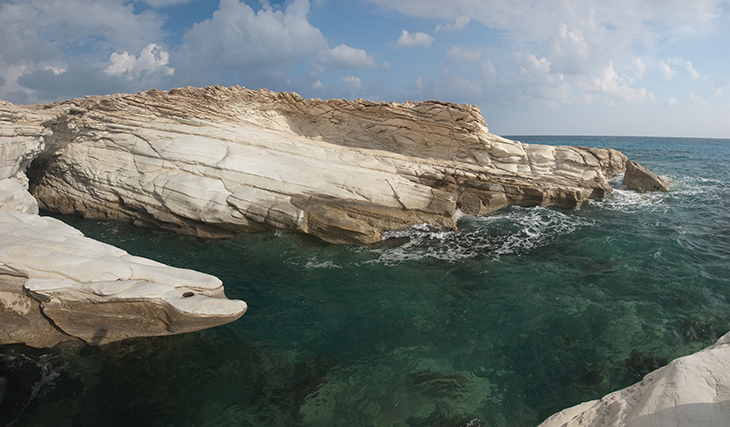 A truly spectacular sight just off the old road between Limassol and Paphos, crowds gather to ogle at the spot that has become the most famous and mythical on the island. Driving up to the area is probably the best of all, with stunning scenery giving way to this fantastically rugged coastline. The water itself is often choppy here, and most will only dip their feet in shallow territory or take in the splendour of it all with a laze on the pebbled shore. Head to the area at sunset and you’ll be lost for words as a multi-coloured palette of red, orange and pink often make for an otherworldly experience. Picture this. You’re driving down a peaceful seaside road with turquoise waters as far as the eye can see. Turn off the main strip to wind down a density of greenery. The forested hill suddenly gives way to powdery white sands; a crescent shaped shoreline speckled with colourful umbrellas befriends iridescent aquamarine waters. Welcome to Konnos Bay. No one can possibly deny that there’s good reason why this beach has become so popular with locals and foreigners alike; it’s an absolute stunner. Whether you’re staring out at the dazzling view, lazing down on the sand, or enjoying a cool drink at the hillside café that looks out to sea, you won’t forget this picture perfect spot. But if you’re looking to enjoy it sans the crowds once the summer sets in, be sure to visit during the week. As the Greek poet, Kavafis, once let on in his famous poem, Ithaca, life is not just about the destination, but the wonderful journey that you take to get there. And when it comes to discovering the island’s beaches, never has the famous saying rung more true than when embarking on the path towards the discovery of Lara Bay. Set about to find it, and you’ll want to take in every second of the unforgettable experience. Hidden within the breathtaking Akamas Peninsula nature reserve, it’s best to hire out a 4×4 to get here or head our on a safari tour. 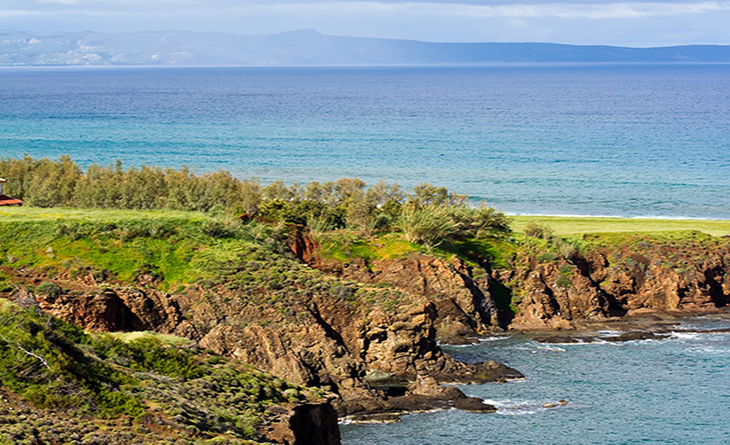 As vibrant greenery and breathtaking wilderness gives way to swooping bays and panoramic views of the west coast of the island, Lara Bay stands as one of the most impressive sandy stretches. Home to the green and loggerhead turtle that arrive to lay their eggs in the summer months, you’ll no doubt be making friends with the little creatures in this strip of untouched wilderness. Just be sure to keep quiet so as not to disrupt their peace. The wild western coast of the island is often touted as the most spectacular with a rugged coastline cradling deep blue seas. 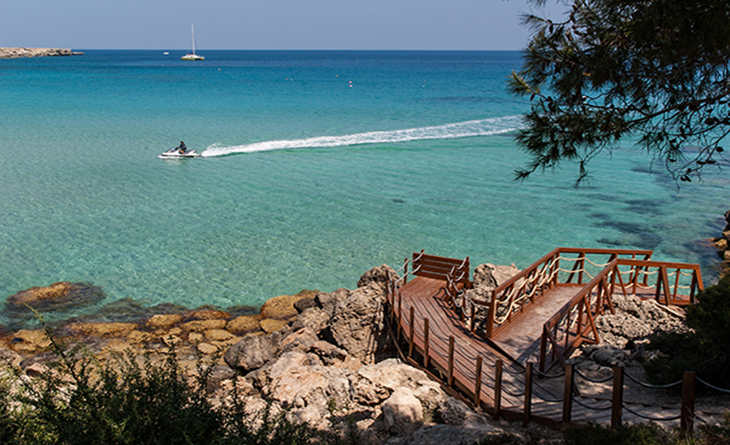 There’s the wonderful fishing village of Latchi to visit, the picturesque town of Polis to explore, and all the splendours of the surrounding villages and countryside. 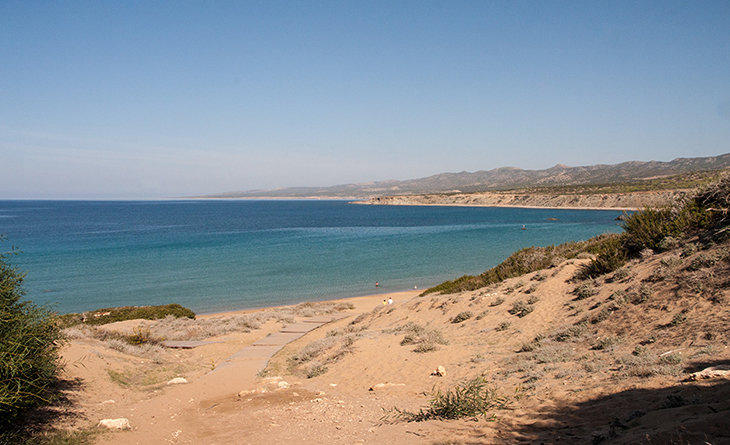 But if you want to really appreciate what it means to get out into some of the most unspoilt parts of the country, drive all the way to the western tip of Pomos. It’s remote, it’s untamed and it still retains the same charm it did years ago. And when you’re desperate for a splash in the sea? Head to Porto Pomos, dotted with but a few colourful parasols and tiny huts offering refreshments. The water is crystal clear, the scenery is unforgettable, and the feel of the place is simply magical. After wild fun under the sun? 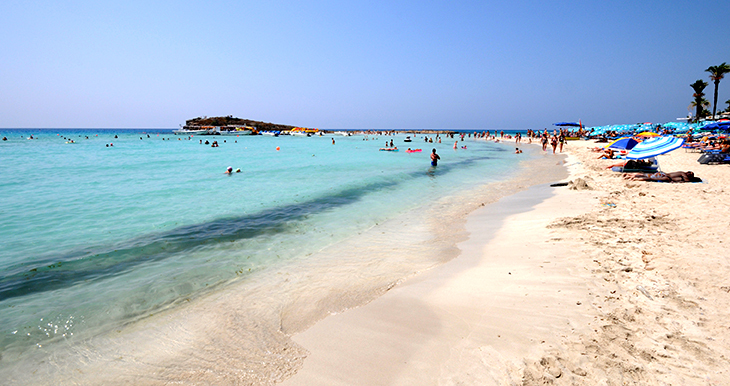 If there’s one beach that gets people talking in the tourist haven of Ayia Napa, it has got to be Nissi Beach. The notorious beach is absolutely breathtaking (when it isn’t packed), with soft white sand that swoops its way across the bay, as transparent waters call out for attention. 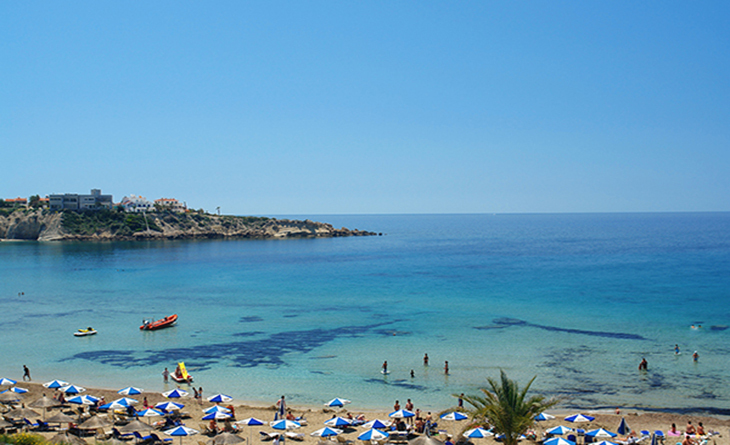 But most people that head to Nissi Beach aren’t just interested in the dreamy sea; they are looking for a good time. 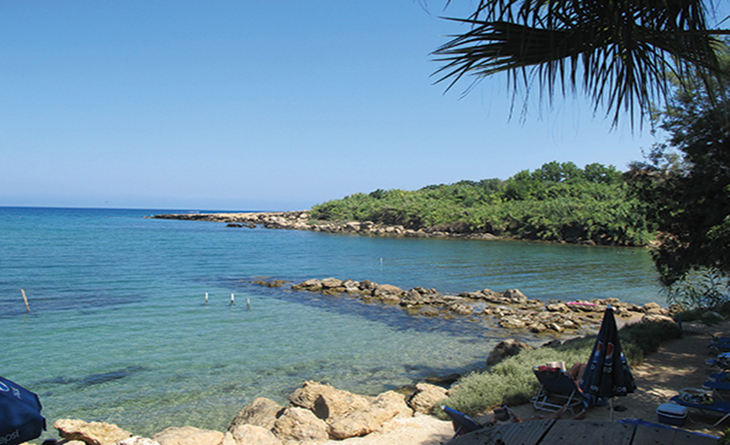 Come peak season, the area fills with youngsters – both locals and holidaymakers – intent on showing off their tan, working up a sweat with a game of beach rackets, and dancing to the beat at one of the heaving beach bars. That’s not to forget the array of water activities to kick-start the adrenaline rush, from water-skiing and paragliding to ringo rides and banana boats. Suffice to say that if you’re looking for peace and quiet, this isn’t really the spot for you. 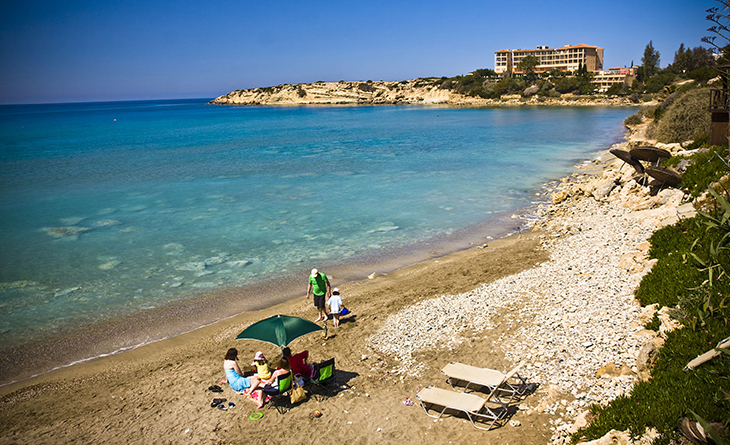 First timers in Protaras will be forgiven for not knowing this place exists, for Serena Bay is one of those places that has largely earned its popularity with locals through word of mouth. After all, it’s off the main road, it’s hidden, and it’s a tiny stretch of beach compared to some. But once you get there, you may never want to leave. And truth be told, it’s not hard to pinpoint why. For some, it comes down to the fact that the Serena Bay beach bar is irresistibly quirky with wooden tables strategically placed under the shade of leafy trees. For others, it’s the charm of the little bay itself, somewhat more secluded than the rest and undeniably scenic. Don’t expect the place to be empty however, as trendy young things – particularly Nicosians – frequent the area on most midsummer weekends. Some beachgoers like nothing more than lazing on a sandy shore with a good book. Others however care little for lazing, adamant on hitting the waves and pushing those adrenaline levels to an all time high. If you fall into the latter category – and think of yourself as being wild at heart – then you’ve simply got to visit Paramali Beach. Hailed as being one of the very best kitesurfing beaches on the island, the golden sand stretches a distance of about 2 kilometres, and when the winds pick up and the waves get rough, the horizon is punctuated with multi-coloured kites as avid sporty types do their thing. One moment you’ll be gazing at bikini clad fashionistas sipping on mojitos and tapping their feet to house beats. The next, you may well find yourselves amongst a hoard of well-oiled buffed young men sipping on their frappes, each battling the other endless games of beach rackets. 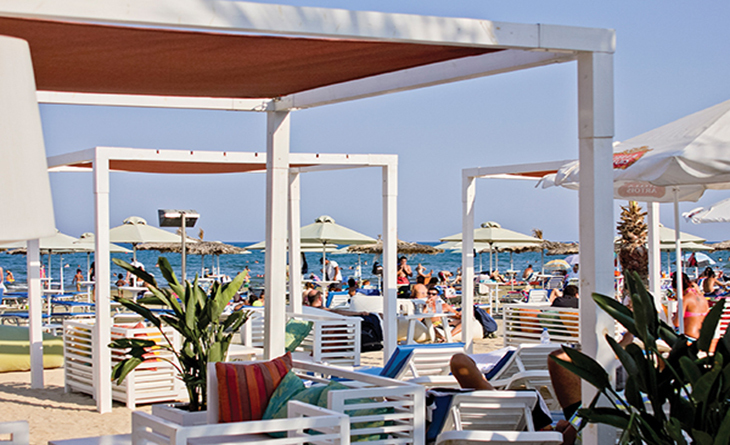 Welcome to Mackenzie Beach: Larnaca’s true summer hot spot. As the rhythms of just about every type of music imaginable resonate throughout the area, just take your pick from the array of beach bars, take a seat on a high stool with your tipple of choice, and enjoy all the action! The gorgeous Coral Bay is a great family-friendly choice. Kids love to play in the shallow and often wavy waters, adults can enjoy kicking back under the shade of the umbrella, while those with a penchant for water sports can spend hours out at sea. One of the best sandy beaches in the area, the summer season sees just about anyone and everyone – from teenage trendsetters, families and young couples – carve out their space on the popular strip. Luckily, the stretch is long enough to also accommodate those looking for a little respite away from the crowded hustle and bustle in the spots directly below the beach bars. If you tend to shy away from the shade of umbrella and like nothing more than working on your tan in privacy, then the coves of the rocky stretch that makes up Governor’s Beach should be top of your list. Hire a good car and veer off the main commercial hub, heading onto a dirt road that takes you right along a string of small black sand bays, offset by brilliant smooth white rocks. In the summer months you won’t be completely alone, but if you explore a little, there is always a private bay to set up base. And if the hunger pangs kick in? Head back onto the main strip, home to popular fish restaurants dishing up the fresh catch of the day. This entry was posted in Holiday Rentals, Property Management, Uncategorized and tagged beaches, Family Fun, Friday Fact, my cyprus insider, things to do, things to see. Bookmark the permalink.